Will Increasingly Libertarian-Leaning Voters Sway the 2016 Presidential Election? Recent polls indicate that libertarian ideas are gaining traction among voters, especially with “Millennials” under the age of 33, a group whose strong support was critical to the election of Barack Obama in 2008 and 2012. According to a February 2014 Pew Research Poll, only 31 percent of Millennials believe there is much difference between the Democratic and Republican parties (compared to 49 percent of Baby Boomers.) Even more significantly, a majority of Millennials support such classic libertarian positions as legalization of pot, gay marriage, and a less interventionist foreign policy. 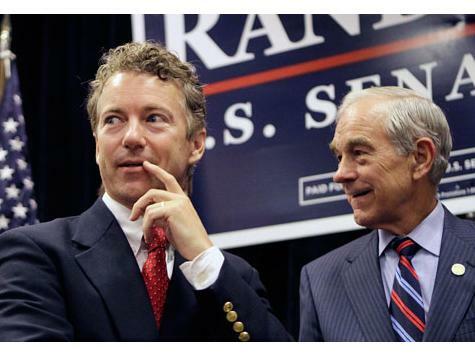 Senator Rand Paul (R-KY), the son of libertarian icon and former Presidential candidate Ron Paul, is well positioned to harness this growing libertarian sentiment in a likely 2016 run for the Republican Presidential nomination. Robert Draper argued in the New York Times Magazine last week that while a national “libertarian moment” may have arrived, Senator Paul may be unable to exploit it. That inability is rooted in a four decade old split between the “fusionism” of Frank Meyer and the hyper-individualism of libertarian Murray Rothbard. As William Upton argued in an American Thinker article, Meyer’s fusionism melded different world views that included libertarianism, anti-communism, and traditional conservatism around common support for Republican political candidates. In 1969, Rothbard, the leading libertarian thinker of the day and an advocate of anarchistic individualism, abandoned fusionism, attacking former fusionist allies, among them traditional conservatives William F. Buckley Jr. and Russel Kirk, in a series of white-hot political screeds. Many libertarians followed Rothbard out the door. Until Ron Paul arrived, it was four decades in the political wilderness for libertarianism. In fact, “organized action” is often the antithesis of what to expect when a group of libertarians convene. Modern libertarianism traces its intellectual origins to John Lilburne, founder of the 17th century Leveller Movement during the English Civil War. That movement was based on support of two key principles: the right of the people to self governance, and the right of the individual to economic freedom. In the 20th century, when libertarianism really took off, the free market Austrian economists, Freidrich von Hayek and Ludwig Von Mises led the way. After Murray Rothbard’s rejection of the fusionist approach to political engagement, libertarianism become more closely associated with hyper-individualism, less so with economic liberty, and was well outside the political mainstream. That, however, has changed in the past several years. Senator Paul has his own view of the current trend towards libertarian thinking. “I think a plurality of Americans don’t consider themselves to be either Republicans or Democrats. I also think there was a time, maybe 30 years ago, when ‘libertarian’ was a term that scared people. Now I think it seems more like a moderate point of view. So I think the term is something that is definitely attracting, not repelling people,” Paul told Draper. Libertarian ideas currently are advanced through three distinct groups: Libertarian Party political candidates, libertarian activists, and libertarian-leaners. Libertarian Party candidates have had little impact at any electoral level, though they occasionally play the role of spoiler. Libertarian activists have had some impact, especially when they have engaged in fusionist type alliances. But the real growth of libertarianism has been among libertarian-leaning Millennials whose world views have become increasingly aligned with libertarian ideas. The 1.2 million votes cast for New Mexico Governor Gary Johnson’s Libertarian campaign in the 2012 general election marked the party’s high point in Presidential elections. But with less than 1 percent of the popular vote, Johnson was, in effect, a political non-entity in the race between Obama and Romney. Libertarian Party political candidates occasionally play the role of spoiler, as Robert Sarvis, who won 7% of the vote in the 2013 Gubernatorial election in Virginia, arguably did in an election where Democrat Terry McAuliffe defeated Republican Ken Cuccinelli by 2%. But Sarvis’s impact in that race was more the exception than the rule. In February of this year, three months after his Gubernatorial candidacy ended, Sarvis was nominated as the Libertarian candidate for the U.S. Senate in Virginia, in which he is competing against incumbent Senator Mark Warner (D-VA), and Republican nominee Ed Gillespie, the former Republican National Committee chairman and Karl Rove ally. 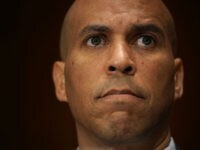 According to a July 2014 poll from Hampton University, which gives him only 4% of the vote, Sarvis has not picked up much traction in the Senate race. Libertarian activists are involved in two interrelated efforts: “Paulies” –who supported the Ron Paul Presidential campaigns of 2008 and 2012–and the Campaign for Liberty, a national organization that supports libertarian candidates and causes. These activists provided energy to the Ron Paul campaigns of 2008 and 2012. Many played an important role in the 2009 launch of the Tea Party movement. This group, however, is despised, disdained, and marginalized at every level by the Republican establishment and its political operatives. In the early stages, the “Paulies” behaved more in the tradition of Murray Rothbard, supporting Ron Paul’s attempts to secure the Republican nomination in 2008, but rejecting any efforts to blend in with other conservative and limited government groups. This adherence to hyper-individualism and insistence upon libertarian ideological purity led to their political isolation. One of the most memorable events of the 2008 Republican National Convention in Minneapolis, for instance, was the site of several dozen Ron Paul supporters hectoring Republican delegates as they entered the convention. Finally, the largest growing group is libertarian-leaners–ordinary people who have some ideas that align with libertarian principles… opposition to wiretapping, support for legalization of marijuana, support for gay marriage, support for isolationist foreign policy. It is this latter group to whom Rand Paul is appealing. But the sterling marks he receives for his NSA snooping filibuster earlier this year are offset by his politically calculated support for Mitch McConnell’s re-election bid. That combination leaves many purists in the Libertarian Party and the libertarian activist community cold. As for the less politically engaged libertarian-leaning Millennials, the jury is still out. But the reality is far more complex. Support for libertarian ideas among Millennials is definitely on the rise. But that demographic cohort’s disdain for the current political process, and the organization of both political parties, is also on the rise. 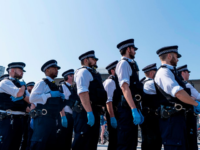 This means that for these growing individual sentiments to translate into an electoral impact, an existing political organization or candidate must communicate with and inspire them. Every action by Senator Rand Paul suggests that is exactly what he is attempting to do. Libertarians at all levels of political engagement, however, appear to be uncertain if the son is as pure as the father. Unless Paul can close the sale, Draper may be right. The “libertarian moment,” if there is such a thing, may go unexploited in 2016. Rand Paul may have a head start, but other Presidential candidates in both major political parties are likely to participate in the competition for the votes of libertarian-leaning Millennials between now and election day 2016. Draper is correct in identifying this growing libertarian sentiment as a potentially powerful force in the American political system. Draper concludes that (1) there is a libertarian movement and (2) it may not have much impact politically. But, I wanted to know, would libertarians be willing to meet the G.O.P. somewhere in the middle? … The crowd here at PorcFest, many of them young, all of them passionate, represented just the sort of army that Paul would need in the early primary states and beyond — the same sort of army, in fact, that powered his father’s improbable showing in previous elections. But they still talked more about the father than the son. Our libertarian moment, in other words, might very well pass unexploited.